HMH Books for Young Readers, 9780618380022, 48pp. 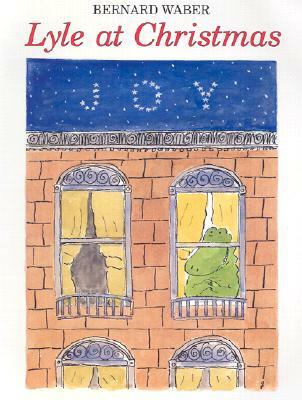 Christmas is an especially festive time for everyone’s favorite crocodile, Lyle. Lyle loves Bird and Loretta the cat, who live with Mr. Grumps. He loves East 88th Street, the house he shares with the Primms and his mother. Lyle’s only problem is that he can’t decide what he wants for Christmas. However, not everyone is filled with holiday cheer. Mr. Grumps has the holiday blahs—so much so that even his adored cat, Loretta, has had it with miserable Mr. Grumps. And then, just a few days before Christmas Loretta disappears and the entire neighborhood joins Mr. Grumps in the hunt for the lost cat. Will he be able to find Loretta before Christmas and restore the holiday cheer to East 88th Street?